I have the first details of my photo exhibition taking place in Leamington Spa this autumn and hope some of you will put it in your diary and there will be more details later. Zoe’s Place Baby Hospice - Who have a branch in Coventry. My exhibition has been kindly sponsored by Leamington Spa company (and my work place) Presto Classical. 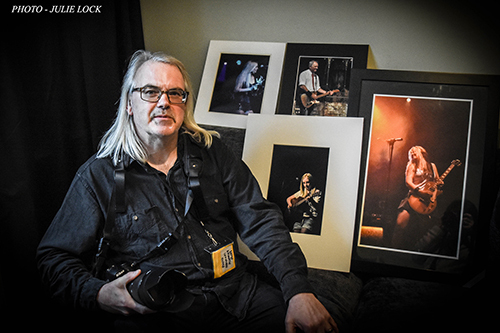 My exhibition which will be free entry will consist of prints covering my favourite images from my years of music photography along with a slide show of those that just missed the cut and will be mostly local to this area (Leamington Spa) and many will be previously unpublished. I will also have live acoustic music provided by a couple of my local musician friends - news to follow and there will be a bar in the room. To raise money for the good causes all exhibited prints will be available for purchase on the night along with possibly a few more images with all proceeds to the charities and there will also be a raffle which will hopefully include signed items by some of the artists in the exhibition and other prizes - again more info to follow. Hope some of you will come along and I am very much looking forward to celebrating my 10 plus years of gig photography and raising money for two great charities.